Intravascular large B-cell lymphoma is a rare form of lymphoma characterized by preferential growth of neoplastic cells within the lumina of small blood vessels, particularly capillaries. It usually affects elderly patients and has an aggressive behavior. 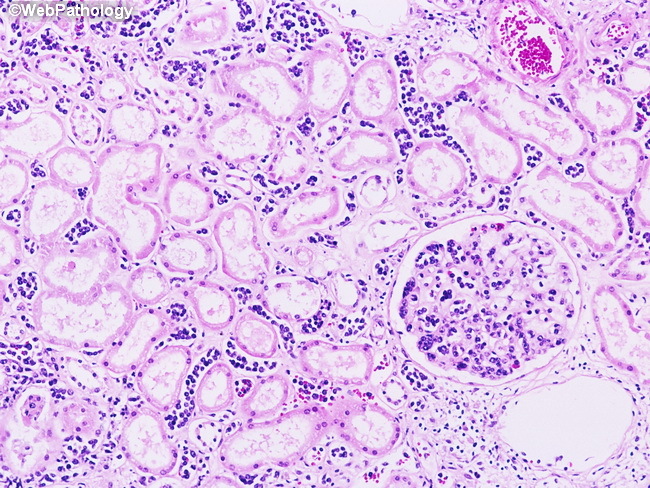 In cases with renal involvement, the neoplastic cells are preferentially seen in the glomeruli, besides classic intravascular location. Peripheral blood involvement is seen in only in 5% to 10% of patients.